The JUSTUS COTTAGE is your home away from home. Nestled in a cool, lush and quiet setting of water oaks and native plants, this easily accessible first floor 2 bedroom, 2 bath cottage features a wonderful floorplan with fresh, new appointments and free high speed internet. Hidden Dunes Beach & Tennis Resort is a 27 acre gated community with 24 hour security in the popular Sandestin area of Destin. The resort comprises a freshwater lake, walking paths with reflecting pools and fountains, 3 large pools scattered throughout the property with hot tubs, cottages, outdoor gas grills for the convenience of visitors, a basketball court and a top-rated tennis facility with 6 rubico courts, 2 fulltime teaching professionals and a tennis center to aid scheduling of matches. The design, construction and landscaping enhance Hidden Dunes natural beauty and help provide its quiet, secluded and private ambience devoid of shuttle buses, traffic and noise. The safe neighborhood is perfect for children of all ages, and allow safe exploration, walking and biking. Please be sure to check out our virtual tour (found just above our photos below). MASTER SUITE tempts you to stay a while with its beautiful King Poster Bed, sitting room, TV/DVD/VCR, ceiling fan, switched bedside lamps, plantation shutters/custom drapes, large walk in closet and spacious luxuriant private bath with shower and large oval soaking tub. SECOND BEDROOM, located on the other side of the cottage by separate hall bath, has two oversized twin beds with exciting new vibrant and inviting bed linens and fun green wall color, TV/DVD/VCR/VideoGamer, ceiling fan, switched lamp, plantation shutters together with plenty of drawer and closet storage space. Very open living space with lots of light. The Foyer opens into the GREAT ROOM which in turn opens to the Kitchen, Dining Area and screen porch. The Great Room features plenty of seating with its new sleeper sofa, matching loveseat, comfy oversized pillow chair, plantation shutters,custom-made drapes and ceiling fan. Entertainment armoire includes TV/DVD/VCR,complete with fully stocked video library and stereo with CD/radio. Banquet-sized tavern table in Dining Area seats 6 or more and is the perfect complement to the beautiful wrought iron nautical chandelier. Fully equipped KITCHEN, with everything you want, has its own serving bar and 3 stools for those quick lunch sandwiches or snacks. The Kitchen also features a double bowl stainless steel sink that looks out to the SCREEN PORCH with its inviting outdoor living space and its own serving bar, 3 stools, 5' round wicker/glass table, 4 chairs and sofa and ceiling fan. The screen porch is completed with lots of FUN/BEACH ARTWORK and opens directly out to the resort's reflecting pools that meander through the interior. The flooring in all the main living areas (except for the plush carpet found in the bed chambers and ceramic tile in the baths) is a very thick decorator stone. The stone is then covered in many areas with sisal and oriental rugs. Washer/dryer, lots of storage, separate food pantry, coat closets,etc. The Justus Cottage (Cottage 168) at Hidden Dunes is a great beach vacation home in a wonderful location, on the beach side and just west of Sandestin. With its gated entrance and 24 hour security, it offers the peace and tranquility you are looking for on vacation. It's only a short stroll to the beach or use the seasonal tram service. USPTA Tennis pro on-site. Hidden Dunes is located near fabulous outlet shopping at Silver Sands, wonderful restaurants and all of the fun activities offered by this vacation paradise. Please ask for JUSTUS COTTAGE, B168, Listing #193084, MENTION THAT YOU FOUND US IN VRBO! Also please be sure to let us know if you have any special events coming up during your visit such as a birthday, anniversary or honeymoon! Our cottage is nestled in Hidden Dunes' twenty-seven acres of beautiful landscaping. The Resort is masterfully designed, constructed and landscaped to enhance the natural beauty of the beaches and creates a unique sense of privacy. There is an open air tram system for quick and easy access to all amenities (seasonal), including, the most beautiful white, sugar sand beaches in North America,six championship Rubico clay tennis courts, USPTA certified professional tennis staff with professionally supervised tennis clinics and round robins,24 hour security/courtesy patrols,lighted basketball court,three swimming pools (one heated) with Jacuzzis, walking trails with gazebo, lake and lakeside deck,reflecting pools and flowing fountains all over the place and a playground area for children. Just next door are championship golf courses and the famous Silver Sands Factory Stores – over 60 stores in walking distance. Down the road (maybe 10-15 minutes) is Destin Commons Mall - open-air lifestyle center offering shopping, dining and entertainment. There is deep sea fishing, sailing, windsurfing, parasailing and other water sports available nearby as well and when you want to treat yourself to lunch or dinner out.. there are over one hundred nearby restaurants. 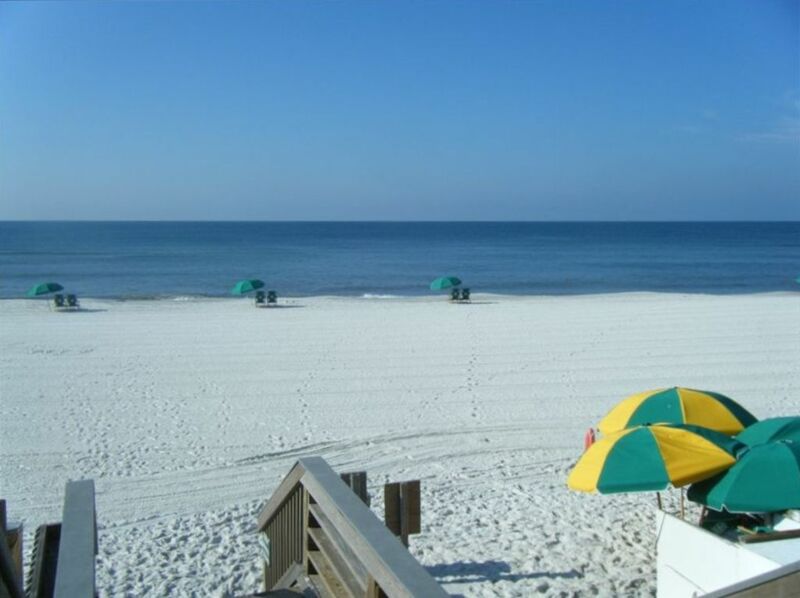 Hidden Dunes is located directly on the Gulf of Mexico which means that nothing stands in the way of you and a relaxing day on the sugar-white shores of the Gulf. Our seasonal beach service and beach walkover offers more private beach access than any location in the area.Relax around neighborhood pools and enjoy the beautiful emerald waters and dunes with tall palm trees and natural vegetation. Hot tubs are available for guests to unwind after a great day of tennis or a long day of walking the shoreline. Other amenities include natural gas grills, lighted basketball court, clubhouse, wireless internet, screen porch, complimentary tram service (seasonal), 24-hour gated security and seasonal beach service.Beach service provided by White Diamond Beach Service (beach chairs and umbrellas can be reserved by calling 850-420-1327). White Diamond now offers beach bonfires. Beach bonfires must be booked 48 hours in advance to secure permits. For more information, call 850-420-1327. Please call Manager or see our Rental Agreement for cancellation policy. Hello. We are Scott and Lisa Justus, and we live in Atlanta, GA. We have 3 children and are delighted that you are visiting with us. We love Hidden Dunes and have been coming to the area since college days at Auburn (many years ago). Growing up in Birmingham/Atlanta (for Lisa) and Asheville, N.C. (for Scott), the white sugar sand beaches of this area have always seemed to be calling our names. We never want to leave. We live in Atlanta now and can be at our beach house in an easy 5 1/2 drive. Hidden Dunes was a beach tennis resort Scott and I admired for many years. We met playing ALTA tennis in Atlanta (he beat me in mixed doubles) and thought this was a PERFECT place for our family's beach home. We chose the perfect cottage located in the lush landscaping of this amazing secluded beach paradise (near the beach, pool, basketball and tennis). Our cottage is nestled in Hidden Dunes' twenty-seven acres of beautiful landscaping. The Resort is masterfully designed, constructed and landscaped to enhance the natural beauty of the beaches and creates a unique sense of privacy. There is an open air tram system for quick and easy access to all amenities (seasonal), including, the most beautiful white, sugar sand beaches in North America,six championship Rubico clay tennis courts, USPTA certified professional tennis staff with professionally supervised tennis clinics and round robins,24 hour security/courtesy patrols,lighted basketball court,three swimming pools (one heated) with Jacuzzis, walking trails with gazebo, lake and lakeside deck,reflecting pools and flowing fountains all over the place and a playground area for children. Just next door are championship golf courses and the famous Silver Sands Factory Stores – over 60 stores in walking distance. Down the road (maybe 10-15 minutes) is Destin Commons Mall - open-air lifestyle center offering shopping, dining and entertainment. There is deep sea fishing, sailing, windsurfing, parasailing and other water sports available nearby as well and when you want to treat yourself to lunch or dinner out.. there are over one hundred nearby restaurants. Hidden Dunes is located directly on the Gulf of Mexico which means that nothing stands in the way of you and a relaxing day on the sugar-white shores of the Gulf. Our seasonal beach service and beach walkover offers more private beach access than any location in the area.Relax around neighborhood pools and enjoy the beautiful emerald waters and dunes with tall palm trees and natural vegetation. Hot tubs are available for guests to unwind after a great day of tennis or a long day of walking the shoreline. Other amenities include natural gas grills, lighted basketball court, clubhouse, wireless internet, screen porch, complimentary tram service (seasonal), 24-hour gated security and seasonal beach service. Master has a large luxurious soaking tub for those relaxing bubble baths, private water closet, solid surface counters, beautiful tile floor, large vanity mirror, lots of light. The second bath has vanity, tub/shower, toilet, mirror, tile floor and bright linens. Conveniently located just outside the second bedroom in the hall. Our cottage is a short 350 step walk to the beach walkover. The sidewalk paths are shaded and picturesque through the resort and lakeside, or take the seasonal tram. Our cottage is in the lovely gated Hidden Dunes Beach and Tennis Resort. There are pools, fountains, a lake, basketball and 9 rubicon tennis courts with a grandstand and tennis center (on-site pro). Free internet access. Guests are given a user name and password at check in free of charge! Drip coffee maker. No coffee, creamer, sugar provided. well stocked kitchen, blender, toaster oven, mixer, several casserole dishes, 3 muffin tins, dutch ovens and pretty much everything you can imagine! You want to cook it...we have the equipment! You will love the dining area with the iron ship chandelier and there's also dining table on screen porch! There are lush trees and landscaping around the patio and through the pathways just off the screen porch and leading around these beautiful canals and fountains. Beautiful tennis center with Rubicon clay courts. Grandstand. Tennis lessons with Pro available. Call tennis center to reserve and pay for courts. Our home is your welcoming fully stocked beach home away from home. We want you to feel right at home and be able to step right in and get to the fun business of your very special vacation. We have tried to think of everything you might need, including a fully stocked kitchen, washer and dryer, tvs, dvd and vcr players, stereo system and any other need you may have. So we invite you to come stay with us and let the fun and relaxing begin, at the very best value! Beach side of Hwy 98. Just west of Sandestin and all the golfing and outlet mall shopping at Silver Sands you could possibly want. Bubbling Fountains and water features throughout. Nestled among native trees and plants. Very close to neighborhood Tennis Complex. Only steps to the beach and beach tram is only 10 steps away every 15 minutes, or you can call for pick up at cottage or from beach, and he is there in less than 5 minutes! We love this place. The only reason I didn’t give the 5th star is because the beds were pretty hard and uncomfortable. Lisa is very easy to work with and we had a great stay. Cozy and comfortable with a short walk to the beach! My family and I enjoyed our stay at Justus Cottage. The community was very well kept and the cottage was super cozy with everything we needed. We would definitely stay here again. Thank you, Scott and Lisa for your hospitality. Very nice, peaceful, well kept, everything you need for a comfortable, relaxing vacation. We greatly enjoyed ourselves. First visit to the area and were very happy with our choice. So calm and peaceful even during the spring break week. Couldn't have been happier. Great Location Near beach convenient to shopping and restaurants. Excellent communication with Landlords who quickly resolved a parking issue for us. Please let us know about any special occasions to be celebrated during your visit like a birthday, anniversary, graduation, etc! Rentals cancelled before 60 days of the stay are required to submit a $100.00 cancellation/processing fee.